The Progressive Conservative government's production of a TV-news-style video under the banner of "Ontario News Now" is a "pure example of fake news" that aims to undercut the pillars of democracy and muzzle media, political policy experts say. "Having a separate news channel kind of corrodes the function of the democratic media, because it assumes that the media isn't able to fulfil the function that is assigned to them," said Jonathan Rose, a political science professor at Queen's University. The partisan channel launched on Monday via social media with a minute-long video that served as a highlight reel of Ontario Premier Doug Ford's photo ops during his first month in power and chronicled his alleged campaign successes. Ontario News Now bills itself as "news" and "timely exclusive content on the PC government's priorities for the people of Ontario," according to its descriptions on Facebook and Twitter. "The use of the word news is what this all boils down to," said Lisa Taylor, a former lawyer and broadcaster who now teaches journalism at Ryerson University. "It's not news.… The content being created is to further the interest of the political viability of the current premier. It's for a very specific interest." Taylor says the PCs are looking to eradicate the need for a middleman, or reporters, by covering their own political moves, further creating a climate of secrecy. "Once those who are a legitimate subject for journalism decides to cut out the journalists and communicate directly, there is very little reason for them to disseminate information to journalists, who, in turn, disseminate it to the public," she said. "There's every incentive in the world to hold this information and just disseminate it through their own propaganda machine." 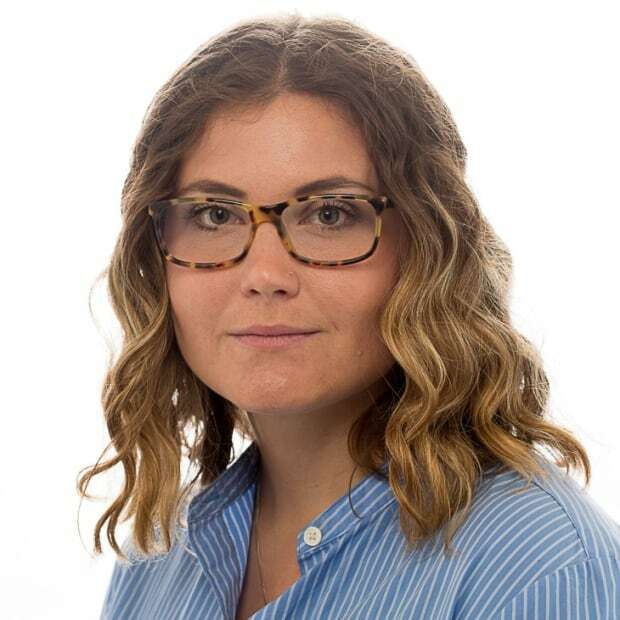 The Ontario News Now video is fronted by PC staffer Lyndsey Vanstone, who says that "Premier Ford attended dozens of events in 30 days, and he managed to keep a few campaign promises, too." 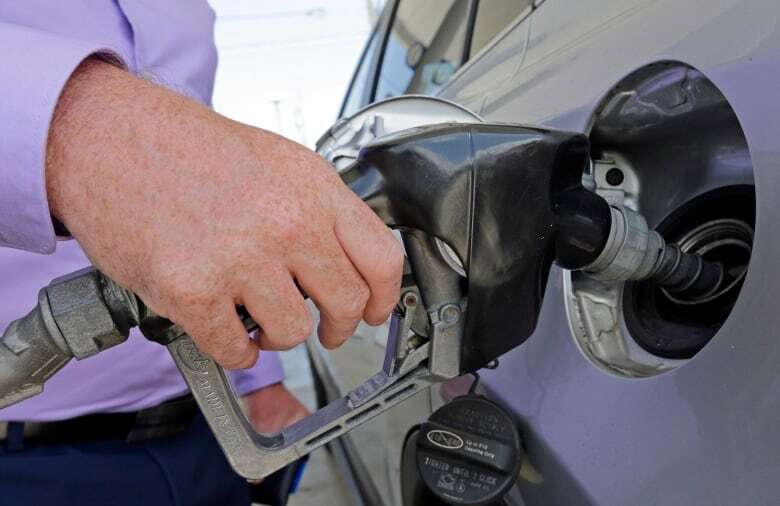 The frame then transitions to an interview-style clip, where Ford lists a litany of provincial issues he says he fixed, including slashing gas prices by 10 cents a litre. Despite his claim, Ford has yet to deliver on that campaign promise. Does Ottawa's skip-the-media strategy get the message out? 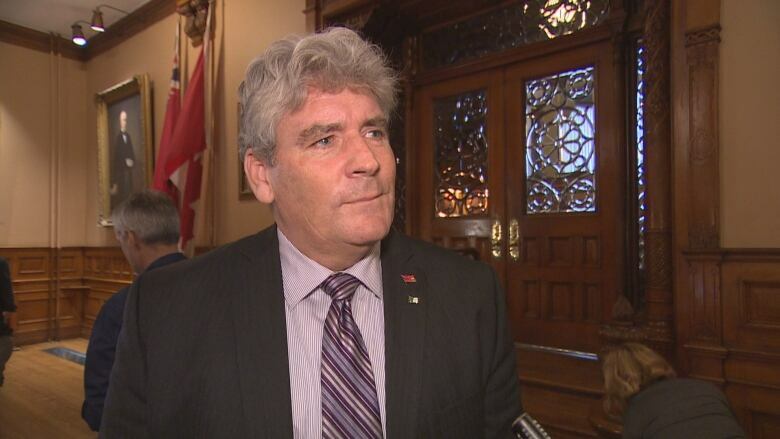 "The concern is the sound bites that are given through this partisan channel might be picked up and used as a substitute to real media because of the inaccessibility of the premier," said Rose. "The effect is to marginalize the role of the traditional media in liberal democracies, which is to hold the government to account. And if you allow selected exposure to staffers who are going to highlight your successes and ignore your failures, then it does an end run around the traditional media." Ford's staff produced similar TV-style videos ahead of the PCs considerable victory in the June 7 election. "Ford Nation Live" also featured Vanstone, who, with microphone in hand, enthusiastically covered Ford's every move during the campaign through a series of partisan messages. Vanstone was then-executive assistant to Ford and his senior communications adviser. She is now listed as the deputy director of communication for PC Caucus Services, according to her LinkedIn profile. 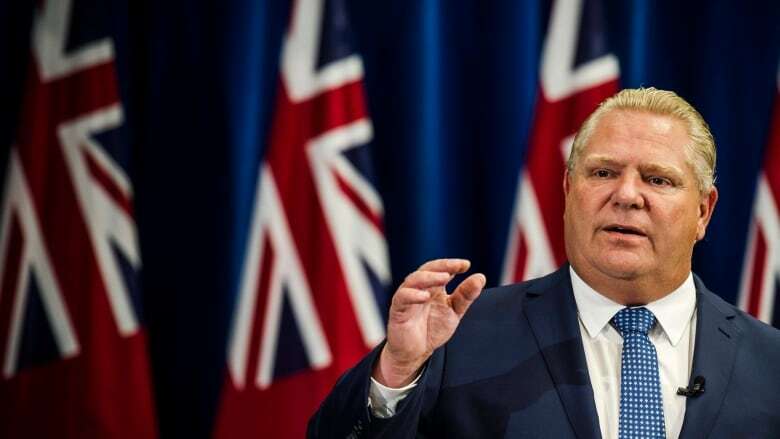 The premier's office declined an interview on Wednesday about Ontario News Now and Ford didn't attend question period at the Ontario Legislature. The premier's office previously told CBC News that Vanstone isn't employed by them. Instead, she is employed through PC Caucus Services, which is a separate, taxpayer-funded arm of Ontario's Legislative Assembly. Christine Van Geyn, the Ontario director of the Canadian Taxpayers Foundation, said in an email "there are very few disclosure rules associated with the taxpayer-funded Caucus Services budget." This loophole, she said, allows the Tories to continue branding Ontario News Now as news without breaking any government advertising rules. "Taxpayer money should never be used for partisan purposes," Van Geyn said. "If politicians want to self-promote, go out and raise money. Don't use money that could otherwise be spent improving hospitals or fixing bridges to tell voters how awesome you are." Ontario News Now seemingly rips a page from Stephen Harper's skip-the-media strategy to get the PCs' messages out. The only difference: Harper's weekly video diary never billed itself as news. In 2014, Harper's in-house media team created 24/Seven, which produced flattering features about the then-prime minister and his Conservative government. It was later revealed that up to three public servants were involved in publishing the weekly video, as part of their regular duties. The filming, production and editing, meanwhile, was left to political staff inside Harper's office — the cost of which was never divulged. "There's no evidence it had any real impact on Mr. Harper's popularity. Or it certainly didn't have an impact on the success of the Conservatives in the 2015 election because they lost," said Chris Waddell, a journalism professor at Carleton University. "It's just public relations, but in the hands of political parties, that is then quickly turned into propaganda. Or as advertising people might say, [it's] to control the message." Harper's 24/Seven video diary was scrubbed from Google when Prime Minister Justin Trudeau took office in 2015. In just three days, the sole Ontario News Now video racked up thousands of views and generated considerable engagement online — something which shocked news and policy experts. "The underlying message in doing this is clearly that the Conservatives think the public is stupid," said Waddell. "The Conservatives are relying on the assumption that the public is too stupid to differentiate between information, advertising and propaganda." This puts a "greater onus" on voters and the opposition to scrutinize the video as a partisan advertisement that masquerades as news, said Rose. "That's a challenge when you're inundated with all sorts of images and news clips on social media feeds," he said. NDP Leader Andrea Horwath slammed Ontario News Now outside Queen's Park on Wednesday, saying it's not a news site and that a "free press" is paramount for holding a government to account. "It's our job as the Opposition, but it's also the media's job — and that's what keeps our democracy functioning. To suggest that one political party controls the news, controls what people hear or don't hear about what happens here in the Legislature, is a slippery slope into a very dangerous place," she said. Horwath added that not a single public tax dollar should be spent for partisan purposes. "The fact that the government is thumbing their nose at the taxpayers of Ontario and using the taxpayer's dollars to undertake this partisan broadcasting effort is absolutely wrong," she said. Interim Liberal Leader John Fraser echoed this, saying the PCs are deliberately undermining the media by attempting to "muzzle" their role. "They don't want the media to ask them questions," he said. "You need to be asked tough questions so you can provide good government. [They're] trying to take them out of the equation by limiting their access, just like they did in the campaign. "We need to be asked hard questions. We may not always like those questions, but we need to be asked those questions."